The purpose of this problem is to teach about the need of encrypting your data. 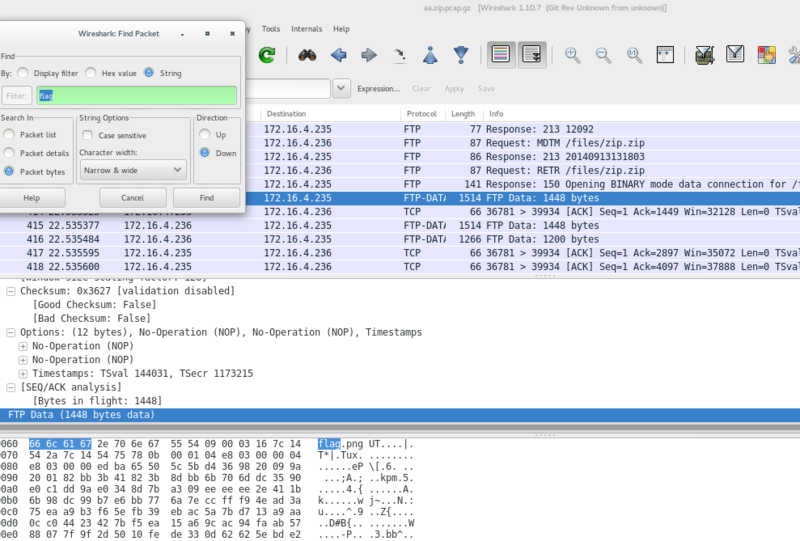 The FTP protocol sends clear text over the wire, i.e the data is transmitted without any encryption. SSH/Secure File Transfer Protocol is a network protocol providing secure file transfer. 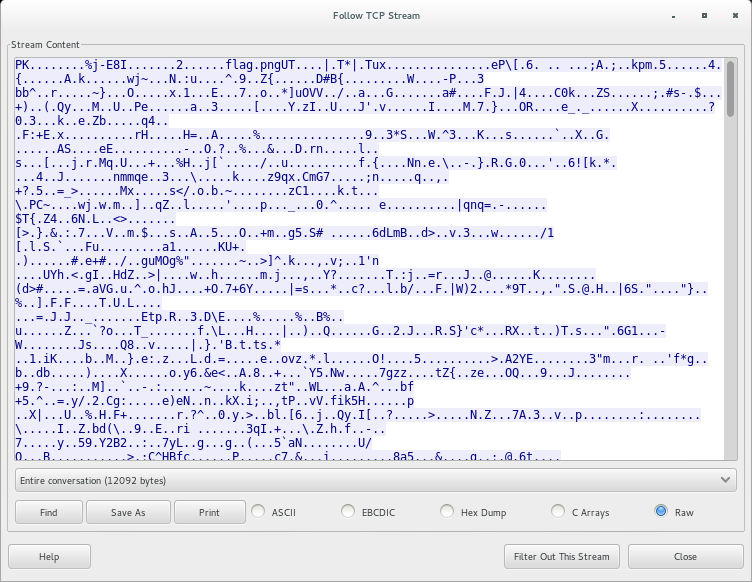 Using SFTP, instead of FTP, would avoid to find the flag in this problem in the way we did. Now let's search for the flag! 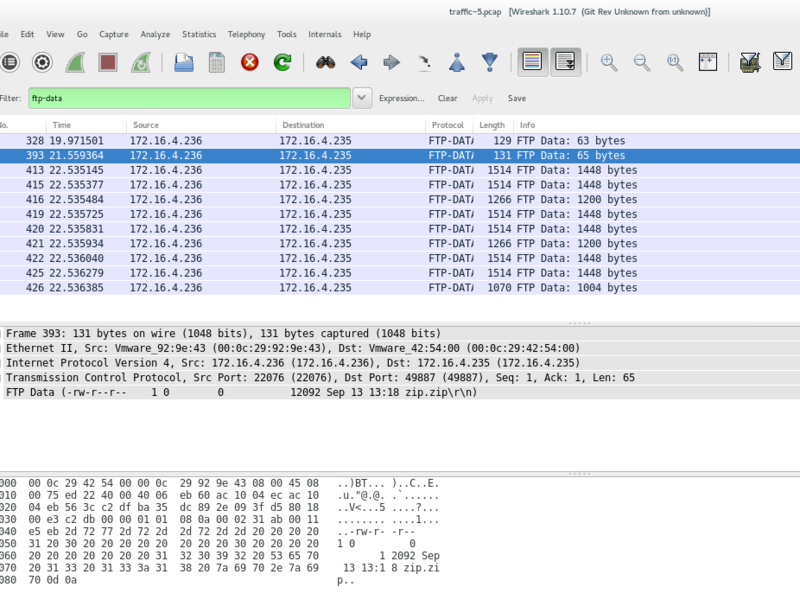 We open the pcap file in Wireshark (an open-source packet analyzer). There are several things that we could search for in this file, for instance we could look for FTP transactions or we could search for strings such as password or flag. We show both approaches. Search for password choosing the options string and packet bytes. Nope. This is a misleading information! But We Were Almost There! We find the packet with a file named flag! Awesome. We don't need to scroll down too much to find a packet with a string flag on it! Awesome. If we don't know the name of the file we are looking for, but we know its type, we can search for its file signature, which can be found here (a hex value).